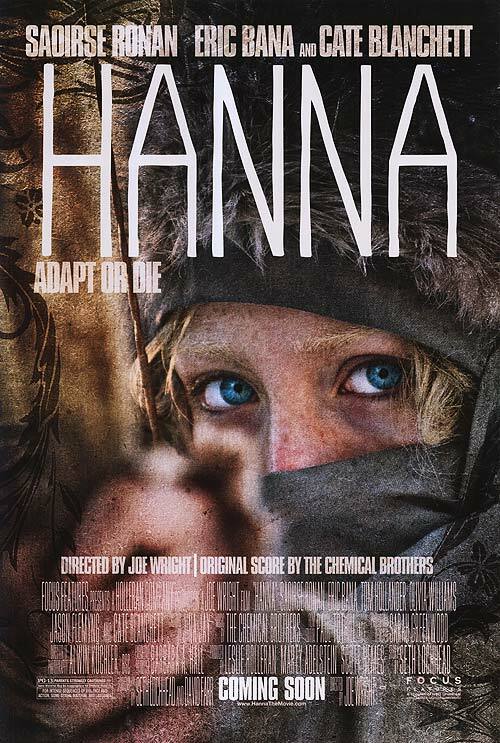 I still think that Hanna is an uneven film. It’s almost two films meshed together and one – the coming of age part – works very well, while the other – the action film – tries too much to work with symbolism and isn’t all that logical. Both have beautiful photography (ironically I appreciated it much more seeing it at home that on the big screen) and the Chemical Brothers’ soundtrack is amazing across the board. But again, in all of this. it’s Jessica Barden who really shines and sparkles. The rest of the cast is good to excellent (particularly Saiorse Ronan and Cate Blanchett), but it’s Barden who takes the film and makes it her own. Every moment she is on screen, all eyes are on her. And she manages all of that, while remaining utterly genuine and natural. It’s amazing. What stuck out to me much more this time, though, was Hanna’s sexuality. It was pretty obvious to me now that she is either bi or lesbian, something I think I completely missed the first time round (or forgot immediately for some reason). But the only person Hanna kisses is a girl. She tries to kiss a boy as well, but that is so threatening for her, despite the fact that the boy is the most unthreatening incarnation of a teenager date I’ve ever seen, her defense mechanism kicks in (a frankly hilarious scene), but kissing Sophie is okay. This can be read a few ways, but for me there are two especially pertinent ones: On the one hand, it’s a comment on how desire is shaped differently depending on gender and person we are desiring. On the other, it’s also about heteronormativity – even Hanna, growing up in a cabin in the woods, quickly realizes that she is supposed to desire men. But that feels wrong to her and when something is wrong, she attacks. Only when she lets herself desire a girl, is it okay for her. Despite some shortcomings, Hanna is engaging and having re-watched once, I don’t think I’d mind re-watching it again and taking an even closer look. This entry was posted in movies and tagged 2011, Cate Blanchett, David Farr, Eric Bana, Hanna, Jessica Barden, Joe Wright, Olivia Williams, Re-Watch, Saoirse Ronan, Seth Lochhead, Tom Hollander by kalafudra. Bookmark the permalink. Don’t I know that particular problem! It’s interesting that you didn’t take any particular notice from Barden – she was absolutely essential to me. How our perceptions differ sometimes! I was absolutely surprised by that one, I saw it in a Sneak Preview without even knowing about its existence before. I’ve been following the works of Jessica Barden ever since, I loved her character and her portrayal of it. She was brilliant and to me one of the best parts of the film. The other was, crazy enough, “Spreedwald Park” in Berlin, as I was once invited to a tour there but in the end couldn’t make it. But since seeing the film, the thought of walking through there is actually way too creepy. Nightmare scenario. 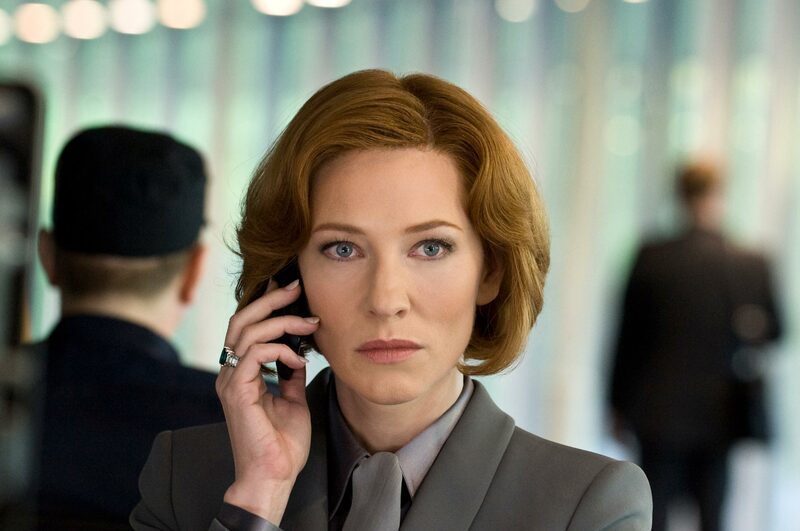 Of course, Ronan and Blanchett, were brilliant too, but that was no surprise to me. I had re-watched it with my parents some time ago, still enjoying it and the wonderful soundtrack, but I also admit I too missed the bi/lesbian-angle but the way you describe it makes sense. Still, as much as I enjoyed watching it, so far, not coming back on any watch/re-watch lists – too little time. It’s good to hear that I was not the only Barden-fangirl after the film! Spreewald Park looks fascinating – I’ve never been. Maybe when I go to Berlin next time, i can fit it in. But if ever there was a place perfect for a movie, this is it. I think, my Hanna-thirst is also slated now and there won’t be a third re-watch. But you never know! oh no … I just wanted to post you the link about the tours, vhttp://www.berliner-spreepark.de/ seems like they are re-doing/opening … might have to take the opportunity to get to Berlin in 3 weeks, need to do some research on that! But, if they rebuild, it won’t be so wonderfully abandoned anymore… Actually, if they’re reopening in a few weeks, it’s already past that point, I guess.